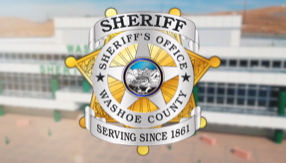 The Inmate Management Section is responsible for the safe and secure detention of all persons placed in custody in the Washoe County Detention Facility. Classification is an essential management tool used by the facility to determine the best placement for inmates. Inmate classification can lead to more consistent decision making regarding the assignment of inmates to appropriate custody levels. A consistent classification system assures fair and equitable processing of inmates. Classification uses Tiburon records management system to track and manage inmates while housed in the facility. The reporting system maintains all initial screenings, risk assessments, information regarding certain groups; such as members of the same or opposing gangs and persons with specific behavior alerts including escape risks so they can be immediately assessed. The Inmate Assistance Program (IAP) works in partnership with the courts, parole & probation, detention medical staff, substance abuse programs and community service agencies to identify and effectuate suitable alternatives to incarceration for inmates. This includes placement into treatment programs, arranging travel to family, support groups and/or connecting with appropriate services. IAP also addresses the issues of the homeless within the population of the Washoe County Detention Facility. The goal is to help alleviate homelessness among inmates pending release from our custody. With this effort we hope to reduce recidivism and assist the inmates in becoming productive members of the community.